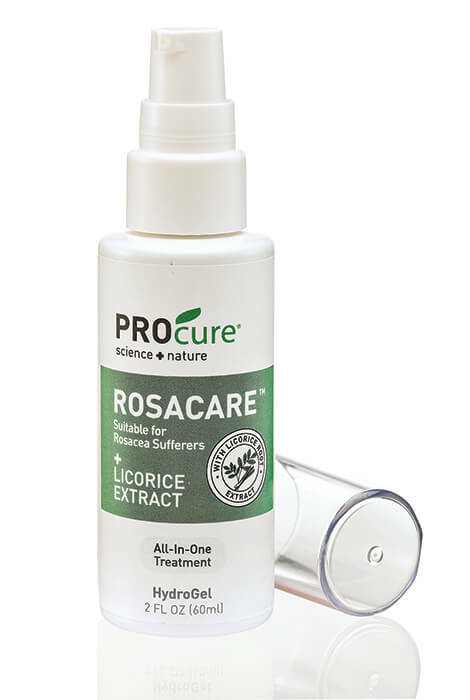 Treat and conceal redness from rosacea, dry skin and sensitive skin with PROcure™ Rosacare Hydrogel. 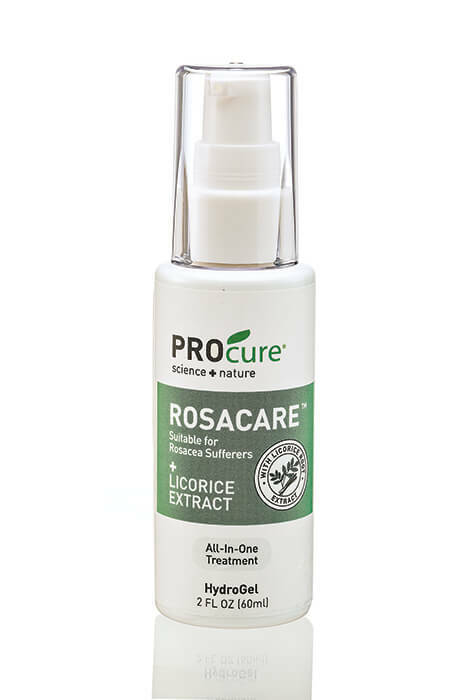 Multi-symptom rosacea treatment eliminates bumps, redness and dryness. Backed by the science of skincare, the rosacea gel contains hyaluronic acid, allantoin and vitamin E to deeply hydrate on contact. No standard irritating ingredients like dyes, fragrance or parabens—instead, Rosacare uses multi-benefit organics. Enriched with a combination of powerful organic ingredients like licorice extract, cucumber and shea to reduce inflammation and cool on contact. Instant redness reduction thanks to chromium color correcting to even out skin's appearance without a masking effect. Non-oily formula won't clog pores, absorbs fast. 2 fl. oz. Apply twice daily to face and neck, after cleansing. Water, Aloe Barbadensis Leaf Juice, Glycerin, Butylene Glycol, Glycyrrhiza Glabra (Licorice) Root Extract, Dimethicone, Dimethicone Crosspolymer, Cetearyl Olivate, Sorbitan Olivate, Dimethicone/Vinyl Dimethicone Crosspolymer, C12-14 Pareth-12, Mica, Titanium Dioxide Tin Oxide, Dimethiconol, Niacinamide, Phenoxyethonol, Ethylhexlyglycerin, Allantoin, Polyacrylamide, C12-14, Isoparaffin, Laureth-7, Carbomer, Cucumis Satvus (Cucumber) Fruit Extract, Bisabolol, Tocopheryl Acetate (Vitamin E), Octyldodecyl Oleate, Chromium Oxides Greens, Sodium Hydroxide, Hyaluronic Acid.